To me, August is peak grilling season. Or at least it was, until last year. Last year August was splendid: warm, sunny, perfect for eating outside. This year August is giving me mixed feelings about the eating outside part: colder, rainier, definitely not BBQ-friendly. 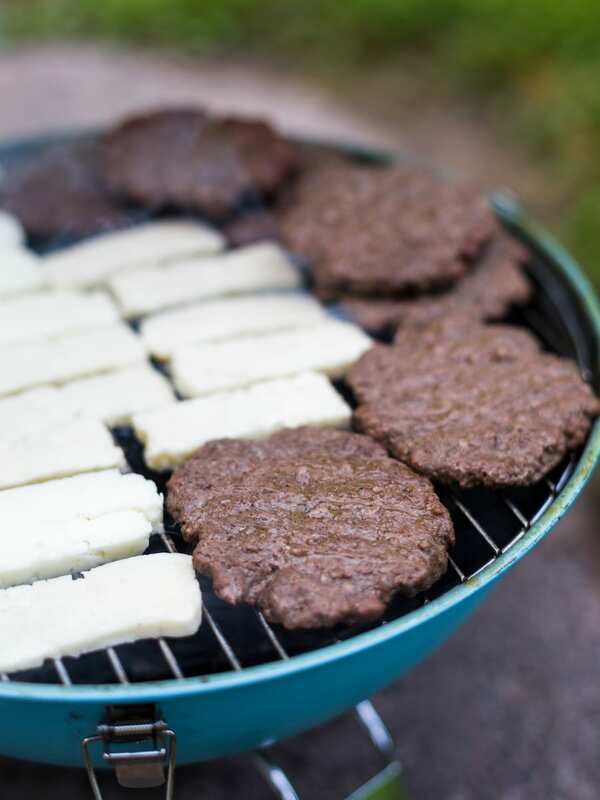 Still, when you want your August to feature hamburgers you gotta do something about it, so when rain is disrupting your grilling plans, hamburgers will be cooked in the pan and hamburger night will happen anyhow. 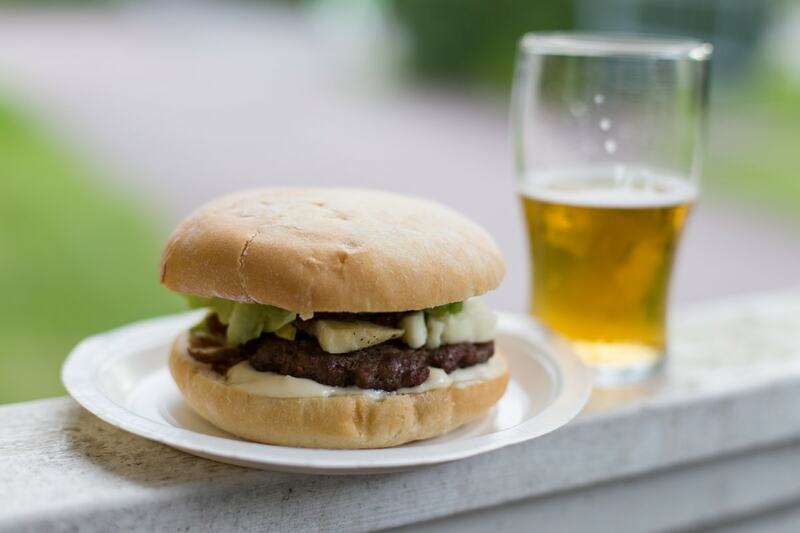 In early June, when the Swedish summer was still sort of a promise, we formally launched our new flashy portable grill with a hamburger night at our place. It eventually got so chilly that we offered hot tea and blankets to our guests and at some point even retreated inside. Still, grilling season had been inaugurated. 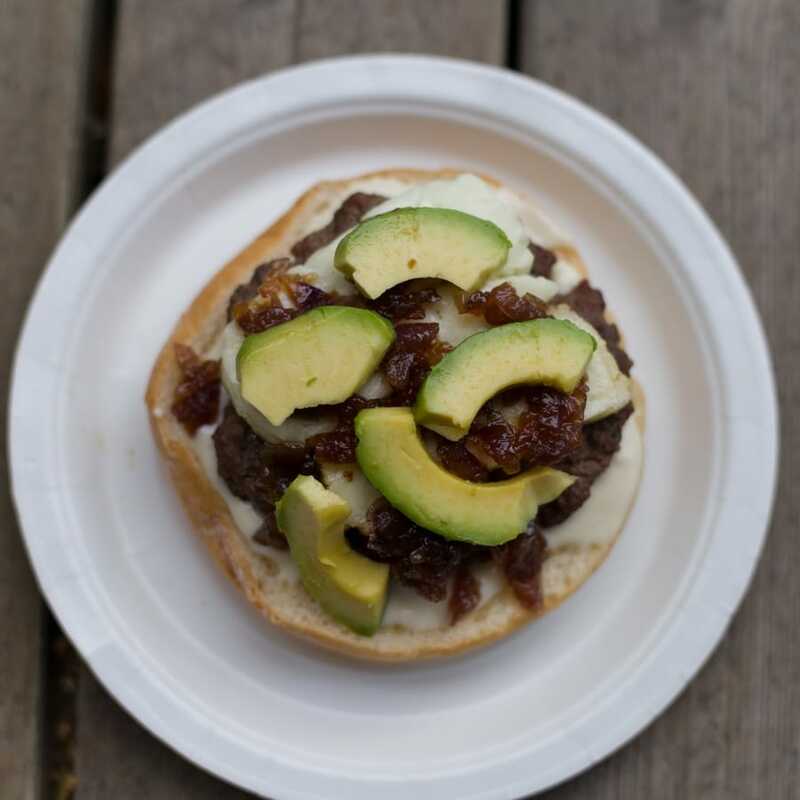 On that occasion I made a delicious onion relish that proved perfect for hamburgers. Something worth making again and again. Melt the butter in a pan over medium-high heat. In the meantime, chop the onions and add them to the melted butter. Turn the heat to high and fry the onion in butter, constantly moving it around so that it does not burn or get crispy (if it starts burning or getting crispy, move it around even more and lower the heat a little). After about 10 minutes, sprinkle 3 tbsp of sugar all over the onion and give it a stir so that the sugar will evenly distribute. 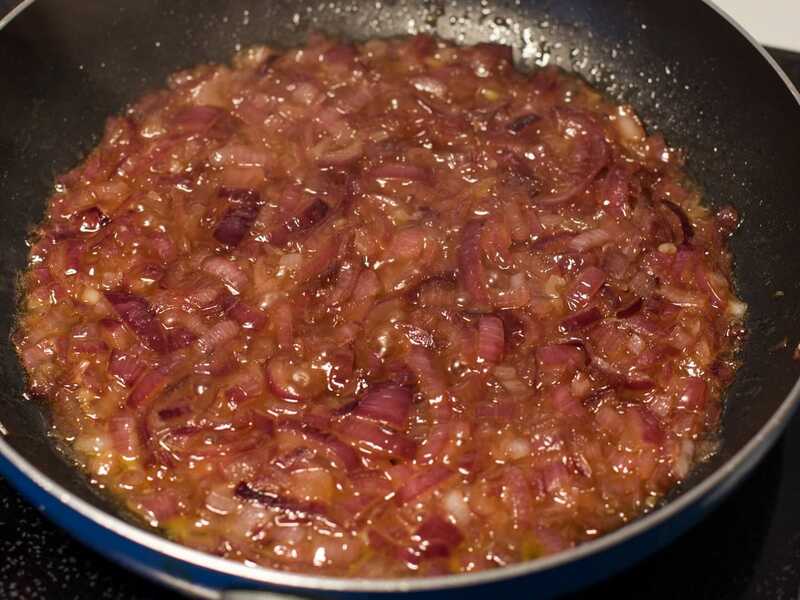 Then add the Balsamico, a pinch of salt, and keep frying the onion for about 5 minutes. Now add about 100 ml of hot water (I had set the kettle on when I started frying the onion chops, so that I would have it ready), reduce the heat to medium, give it a good stir and cover. Let the onion cook covered and check it after about 5-10 minutes – the onion should have absorbed most of the water. Add another 100 ml of hot water, stir, and let simmer. I repeated this procedure until I had added 300 ml of water to my relish. The goal is to get the onion to such a point it’s so soft it will melt in your mouth. Onion has a natural crispiness – you want to completely get rid of that. If 300 ml of water is not enough because of the size of your onions, go ahead and add 100 ml more and let it simmer a little longer (you may also have to add a second pinch of salt at this point). 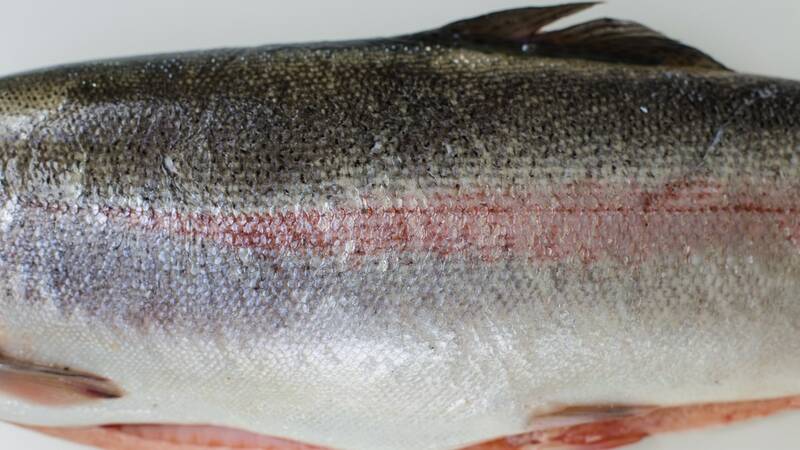 The longer it cooks, the softer. In the end it will resemble onion jam, and this is exactly the desired end product. 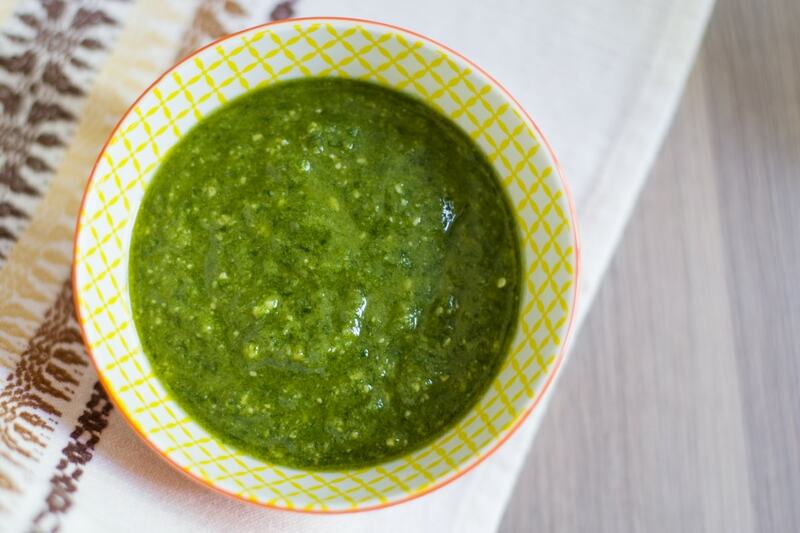 Once ready, transfer your relish to a container and let it cool. I believe it can be stored for a few days in the fridge, but I never had to, as every time I made it for the BBQ it did not live long enough to even spend its first night in the fridge. and of course my own caramelized onion relish. 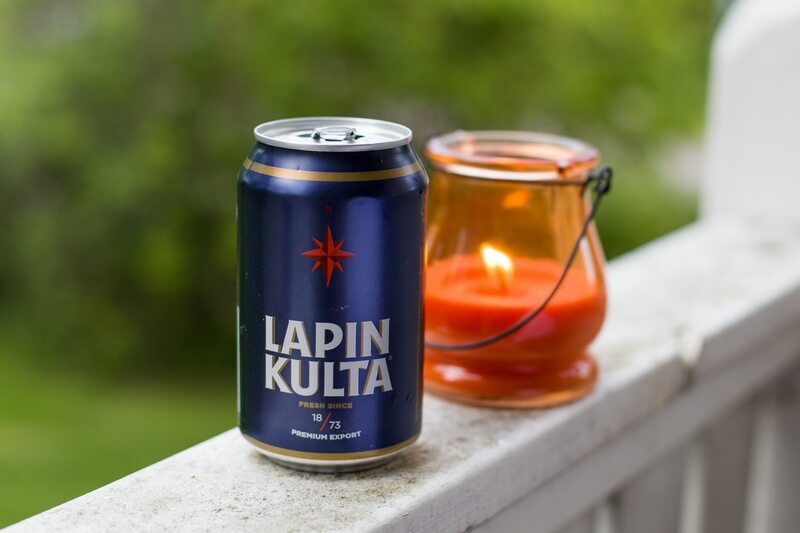 The beer of choice is my favourite Finnish lager, Lapin Kulta. 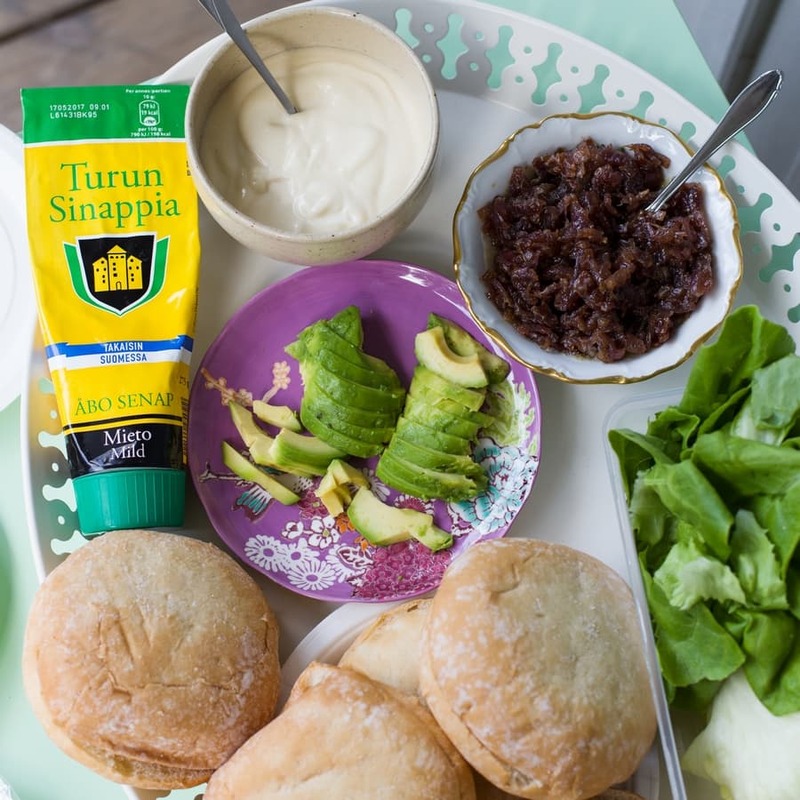 The reason behind so much Finland (I mean: the beer, the mustard…) is found in the fact that we spent a lovely few days in the Åland archipelago last week and brought back to Sweden some delicacies. Lapin Kulta is definitely a favourite of mine. 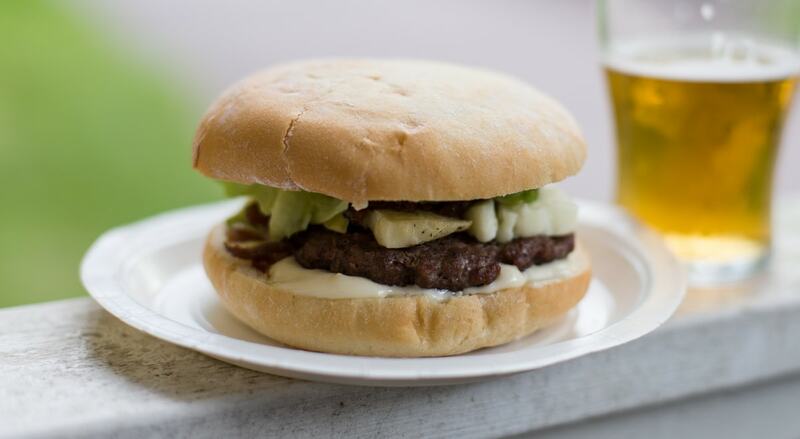 And Lapin Kulta was a great side to the wonderful hamburgers. 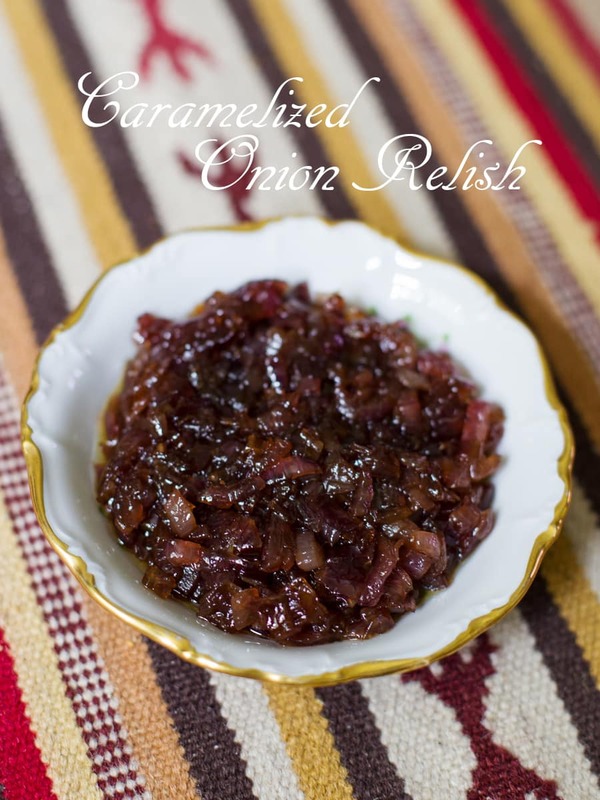 Caramelized onion relish is always a win. Caramelized onions!!!! Li adoro ed era da un sacco che cercavo una ricetta fatta in casa e questa è perfetta e cade proprio a pennello. Ah che bello, mi fa piacere che questo posta cada a fagiolo 😀 Enjoy!